It didn’t start well this time. 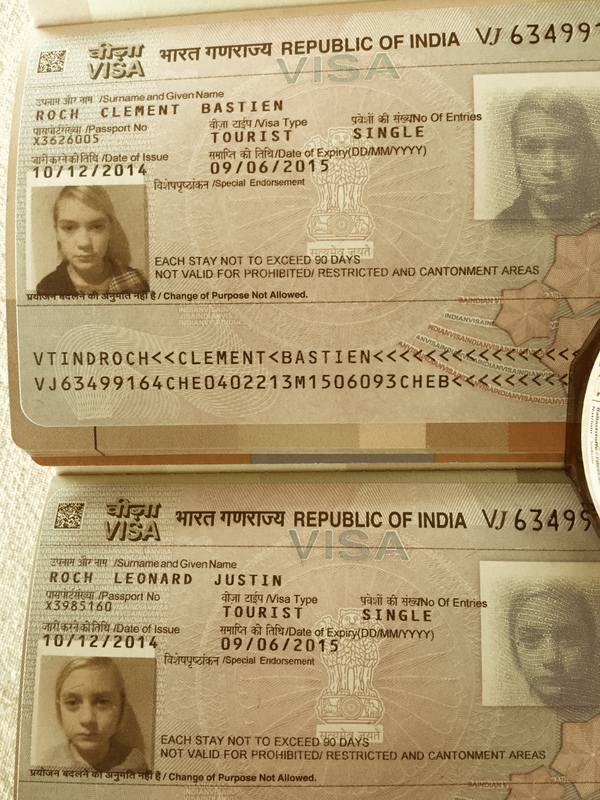 The Indian Embassy in Berne didn’t approve our photos although we used the same as last year. We had to retake these burglar photos without smiling and looking straight to the camera and sending them again to Berne. And I was so glad when I saw the envelope from the Embassy with my handwriting in my post. Oh, dear! But I only got my passport back. The ones of my boys were missing. I wrote in German. I sent the same mail several times. I didn’t get any answer. I wrote in English. I wrote in big letters and in red: Missing passports. I got the answer that I could fetch them at the Embassy in Berne. Oh, my god! No time to travel. I wrote again. I told them to send them. They told me they couldn’t because they didn’t have any pre-addressed and pre-stamped envelopes. I wrote that I was upset. No chance, I had to send them the envelopes. Another three days without a sign. I had to call. And finally today, I had them in my mailbox. I know what it means when passports aren’t valid anymore. I stood at the airport with my two boys, and the airplane would leave in less than an hour. Or I remember how it felt in Paris to get a working permit but not having a passport. It meant lining up for hours, calling, writing, talking to the Swiss Embassy and so on. But I didn’t know how it feels when visas and passports are still missing three days before taking off. Reblogged this on "Midnight Press". Wow, that would be nerve racking!